Leawood, Kansas (February 27, 2019) – Before AMC Theatres heads into a spring and summer full of crowd-pleasing blockbusters, the Company is celebrating another milestone achievement as AMC Stubs A-List spent the film awards season of January and February adding another 100,000 new members, with the total AMC Stubs A-List membership now exceeding 700,000. Since the program launched, AMC Stubs A-List member theatre attendance has totaled 14 million, including the purchase of traditionally-priced tickets for family and friends. AMC Theatres introduced A-List on June 26, 2018 and at the time, the Company initially expected to hit 500,000 members 12 months after launch. 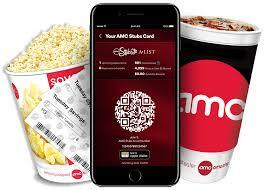 For information about AMC Stubs A-List and to sign up, guests can inquire at their local AMC, or at AMC’s web site amctheatres.com/alist or on AMC’s iOS and Android mobile apps after downloading or updating them with the latest app release. AMC Stubs A-List rewards guests with up to three movies per week. Through A-List, members can enjoy every available showtime, at every AMC location, in every format — including IMAX at AMC, Dolby Cinema at AMC, RealD 3D, Prime at AMC and BigD. AMC Stubs A-List can be used at the spur of the moment or also can make planning ahead days or weeks in advance possible, as securing tickets is made easy via reservations capabilities on the AMCTheatres.com web site, or on the AMC Theatres mobile app. A-List joins AMC Stubs Insider and AMC Stubs Premiere in AMC’s fast-growing AMC Stubs loyalty program. AMC Stubs A-List members also enjoy all the benefits of AMC Stubs Premiere, including free upgrades on popcorn and soda, free refills on large popcorn, express service at the box office and concession stand, no online ticketing fees and 100 points for every $1 spent for the AMC Stubs A-List monthly fee and food and beverage spending at AMC theatres. AMC Stubs Premiere members receive a $5 reward for every 5,000 points earned, which translates to a 10% credit toward future AMC purchases. AMC is the largest movie exhibition company in the U.S., in Europe and throughout the world with more than 1,000 theatres and nearly 11,000 screens across the globe. AMC has propelled innovation in the exhibition industry by: deploying its Signature power-recliner seats; delivering enhanced food and beverage choices; generating greater guest engagement through its loyalty program, web site and mobile apps; offering premium large format experiences and playing a wide variety of content including the latest Hollywood releases and independent programming. AMC operates among the most productive theatres in the United States’ top markets, having the #1 or #2 market share positions in 22 of the 25 largest metropolitan areas of the United States, including the top three markets (NY, LA, Chicago). AMC operates in the U.S. and through its Odeon subsidiary in 13 European countries and the Middle East and is the #1 theatre chain in Estonia, Finland, Italy, Latvia, Lithuania, Norway, Spain, Sweden and UK & Ireland. For more information, visit www.amctheatres.com.